Crunchy sweet cinnamony treat that Chris Kringle would envy! 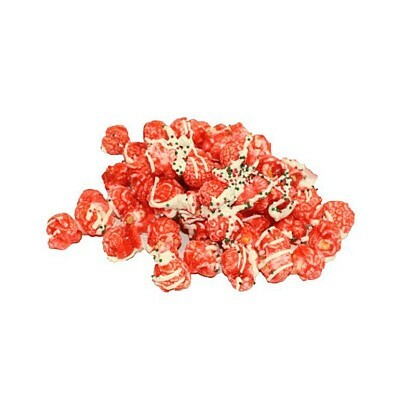 Bright red candy-coated gourmet popcorn is finished in creamy white chocolate and holiday nonpareils. It’s the gift you give your taste buds! 100mg THC and <2mg CBD (10 standard doses) per package.